Every January, the world’s largest retailers, thought leaders and vendors meet in New York to discuss the state of their industry, check out the latest innovations and freeze their tails off in the Northeastern winter weather. NRF’s annual show has grown so big that it’s practically impossible to review it in its entirety – it is called “Retail’s Big Show” for a reason. Forbes, Business Insider and industry press have already done a great job at synthesizing a high level overview of the event, so we’ve decided to take a slightly different angle and focus on our partners’ presence at the show. 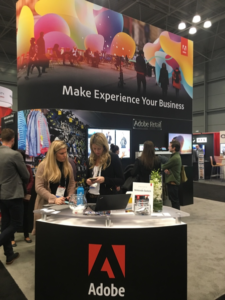 Adobe announced several updates to its Experience Cloud at NRF. Their ecommerce integration framework now features a microservices based architecture, which allows for a deeper integration with 3rd party ecommerce platforms, such as Hybris, Magento, Digital River, and Symphony Commerce. 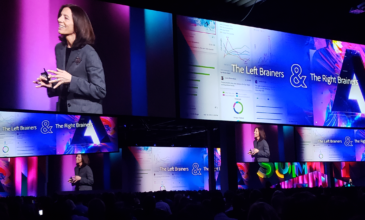 Adobe also painted the vision of using the Audience Manager, its Data Management Platform, to analyze foot traffic in retail stores, although it is still unclear when this capability will be production-ready. 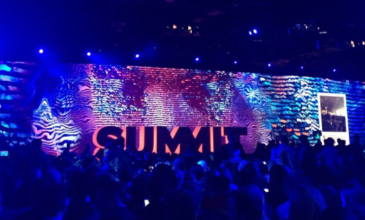 Expanding beyond its own booth, Adobe also exhibited at the Microsoft booth – the result of a strategic partnership that the two software giants announced at last year’s Adobe Summit. Microsoft took a completely different approach compared to its competitors by letting their partners take ownership of their booth. Rather than showcase their latest innovations, they focused on the business solutions that 3rd parties, including Adobe, Aprimo and Sitecore, had built upon their platform. 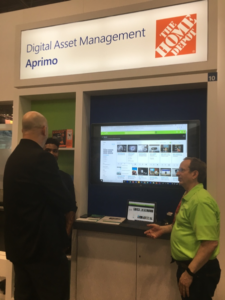 Aprimo’s exhibit at the Microsoft booth focused on their Digital Asset Management capabilities acquired from ADAM Software less than a year ago (and since transitioned into a SaaS model hosted on Azure). Their main showcase was case study featuring Home Depot – the retailer uses Aprimo’s platform as a single source of truth for their digital content, which allows them to go to market across all of their channels with a greater degree of consistency and agility. Adobe’s team at the Microsoft booth showcased Sephora’s integration of their in-store and digital experience. They also did a great job of presenting a sample user journey using a demo retail site (We.Retail), starting from a product search using Cortana voice interface, through a targeted web experience, image recognition based on merchandise photography taken by in store by the customer, all the way to retargeting and lead nurturing via Adobe Campaign. Sitecore took advantage of the buzz around the NRF to announce the release of Experience Commerce 9, introducing a number of improvements and new features, including new migration tools and a user-generated content integration. Product catalog, inventory and profile systems have been moved over to a new Commerce Engine and, at the same time, Sitecore said goodbye to the old Commerce Server. 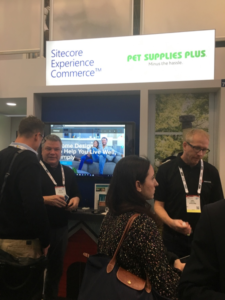 The Sitecore team also showcased Pet Supplies Plus’ online store, leveraging Sitecore XP and Sitecore Commerce. Apart from the usual suspects, including their CRM, campaign management and ecommerce solutions, Salesforce has put a lot of focus on Einstein – their AI solution. 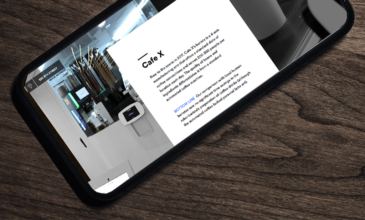 They showcased two of their customers: Design Within Reach and New Balance – the latter presenting their VR experience, which allows New Balance customers to explore the design process behind their favorite merchandise. Want more on the trends we spotted at NRF 2018? Let’s chat.